Young Ginkgo tree on south side of pond in Parc Oriental de Maulévrier. Route de Mauléon, Maulévrier in France (dept. Maine-et-Loire). This park has many Ginkgo trees, some of c.1930. 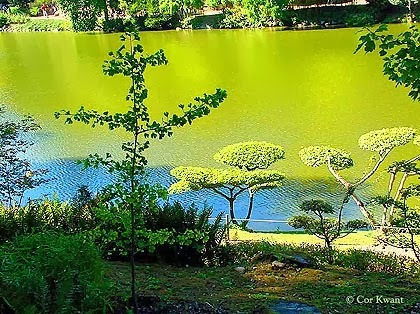 On my website you can see a photo of a Ginkgo bonsai in this park.